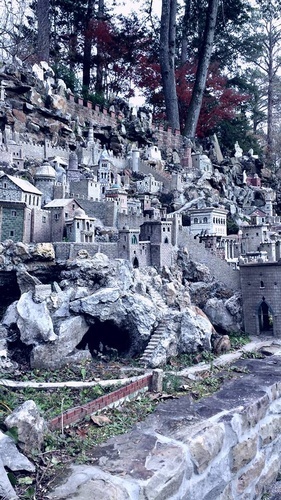 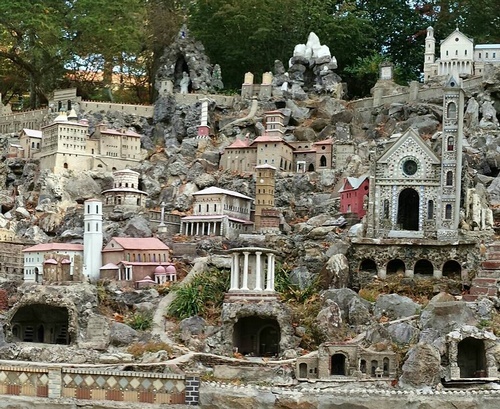 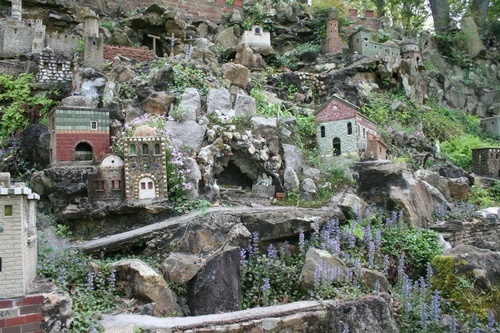 Known throughout the world as ''Jerusalem in Miniature,'' the Grotto is a beautifully landscaped, four-acre park designed to provide a natural setting for the 125 miniature reproductions of some of the most famous historic buildings and shrines of the world. 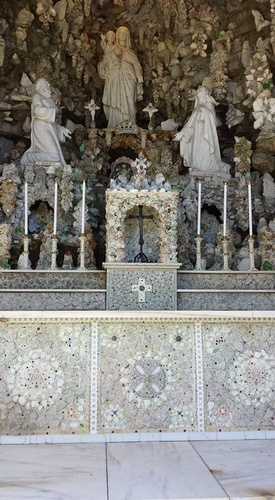 The masterpieces of stone and concrete are the lifetime work of Brother Joseph Zoettl, a Benedictine monk of St. Bernard Abbey. 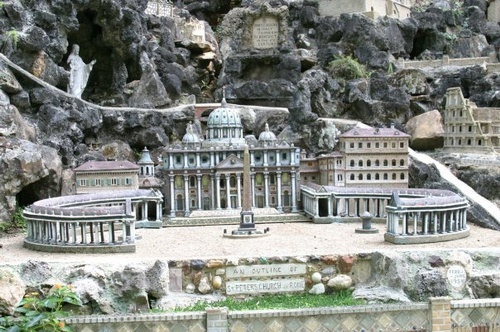 Begun as a hobby, Brother Joseph re-created some of the greatest edifices of all time.